Rose Bowl Contender or Second-Tier Pretender? Welcome to another year of Spartan football. This season, I’ll once again blogging every game, recapping the green & white and previewing their upcoming foes. There’s going to be ups & downs (you can guarantee that) but I assure you it’ll be far from boring. I don’t need to rehash every play of MSU’s 7-6 (3-5) season, but I’ll give you some noteworthy stats to look back on. It seems every story on MSU from local coverage by Freep or LSJ to national media like BTN and ESPN seem to begin with the fact that 5 games were lost by a total of 13 total points. What most of these stories seem to neglect (except BTN) is the 9 totally games decided by 4 or fewer points, 4 of those ending in Spartan victory. Now, do I think MSU was as bad as a 7-win team? No. But were the Spartans capable of 11 wins? Not quite. I think realistically MSU should have been 10-3 last season. So before we jump into positions, let’s take a look at the leaders of this team. Just voted last week as a team captain is no surprise LB Max Bullough is one of the best Spartan linebackers this side of Josh Thornhill. I suppose I could’ve gone all the way back to Dan Bass or Percy Snow as the top two leading tacklers in MSU history, or even third or fourth most tacklers in Greg Jones and Ike Reese respectively. However, I chose the fifth highest tackler in Josh Thornhill because of two reasons. First, Thornhill was as intelligent as he was tough. At the risk of sounding like a complete cliché he embodied the “student of the game” mantra. But most of all he comes from a family of Spartans (Brother Kaleb and dad Charlie). So does Max Bullough, whose uncle ironically falls just past Thornhill as the sixth leader tackler in Spartan history. Max’s dad Shane also falls seventeenth on that same list of all time tackles. Oddly enough, the senior LB needs 89 tackles (about 7 tackles per game) to replace his dad on the list. Also selected, are CB Darqueze Dennard and Left Guard Blake Treadwell. Oddly enough, 2012 captain Andrew Maxwell was not selected (more on that later). The Spartans feature a very favorable schedule this year. Not only do they avoid playing OSU and Wisconsin, but also their non-conference features one true road test in a matchup against Notre Dame. The latter half of the season does present some challenges beginning on November 2nd against U-M at home, followed with a bye week, and back-to-back road games against Nebraska and Northwestern. The Irish in South Bend, Wolverines at home, Cornhuskers in Lincoln, and potentially the Wildcats at Ryan Field (yeah I had to look it up) will undoubtedly decide the fate of this season. Yet, I still believe an unranked Iowa at Kinnick immediately after Notre Dame could derail the Spartans after losing in double OT to the Hawkeyes in 2012. Ok let’s breakdown the Defensive squad. Unlike all of the media reports, I’m going to give you a double dose of truth. It may be unpleasant, maybe even painful, but you’ll be glad that you have the real story on the Spartan defense. Think of it like dental floss. Let me start by saying this is a good squad. Being a nationally ranked top 10 defense for 2 straight seasons is nothing to scoff at. Last season they were ranked top ten nationally in the following defensive categories: total yardage, rushing yards, passing yards, and points per game. To augment my point, they garnered a 3 & out 44% of their defensive series. Now, here’s the part where I’m going to lose half my readers. I’m going to put it in all caps in case I’m not being clear. MSU’S DEFENSE IS NOT AS GREAT AS THEY THINK THEY ARE! (There I said it). You can scapegoat the offense, but here’s where those people forget (read: neglect) to mention. The Notre Dame front 7 owned MSU’s interior defense and a few big plays gave the Irish enough to win by 17. MSU also got torched for 400+ yards against OSU (it was the Braxton Miller highlight show), albeit a blown call by the officials. Against U-M, the Spartan defense was stout most of the game, once again giving up big plays on the ground and in the air especially the final drive. How about a walk-on fullback named Mark Weisman? You remember the Hawkeye runner who averaged almost 5 yards per carry in that muddy game against Iowa? What about that Nebraska game? Certainly some very atrocious calls in that game, but you can’t blame the guys in stripes for giving up 473 total yards (313 on the ground) and two TDs in the final 7 minutes. 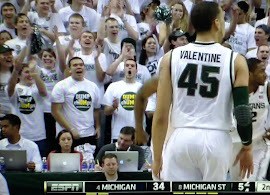 I think Taylor Martinez is still running for six at Spartan Stadium. In closing, I still expect good things from this group despite losing Anthony Rashad White and William Gholston. This squad needs to create more big plays (late-game stops & key turnovers) than it gives up. Or to paraphrase BTN’s Jerry DiNardo, “This defense needs to play with a chip on its shoulder, because they have the talent to compete for a Big Ten Championship.” Now most will simply fault the offense for continually putting the defense in bad field position, consecutive 3 & outs, dropped passes, turnovers, etc. Trust me, the offense bears plenty of blame, but here’s the root of my argument: Good defenses put up good numbers. Great defenses don’t regularly give up big plays. Championship defenses put up wins. Enough said. Now if you think that was a little bit harsh, just you wait til we discuss the offense. Let’s start with the good: Le’Veon Bell rushed for nearly 1,800 yards and 12 scores. That’s all I got. Now, the offense should open their mouths because it’s time to eat some serious crow. 9th in the B1G in total offense, and 9th in QB rating (Maxwell) completing just 53% of his passes. The latter statistic is slightly misleading when you also consider the incredible amount of dropped passes by Spartan receivers last year. Still, if you combine the sacks for Maxwell & Cook, they’re tied for third in sacks most allowed for the conference. This squad dreadfully averaged barely 20 points per game, which ranked them 108th nationally, scoring less than their 20-point average in 7 games last year! Compounding this abhorrent offense, was a place kicker who made just 71% of field goal attempts. So have there been some good points? Of course. Being down by 13 points with :40 in the 3rd quarter of a bowl game and scoring on their final drive is certainly a statement win. But what does it say about a team who selects a left offensive guard over a QB as team captain? Andrew Maxwell, Connor Cook, Tyler O’Connor, Damion Terry. Right now the starting gig is Maxwell’s to lose. He’s the guy with the most knowledge of the offense, significant game experience, and as of today the least amount of risk. From the statements of the coaches, it’s clear they want a real playmaker, but what they need is a guy who will manage a game, not take it over. Ultimately this team will succeed with a consistent QB that can put up a series of 3’s on the scoreboard, rather than short punts. The Spartans need a QB that can avoid costly sacks and timely turnovers. But if Maxwell shows in the first couple games that he struggles to drive down the field, look for a change to the #2. This is where the competition starts. Right now, reliability and play-making abilities is the most important factor for this year’s Spartan signal caller. Tyler O’Connor is outplaying Connor Cook as the #2 QB (Wait, who’s on first?). Cook’s biggest weakness is his decision-making ability. But how much can you really judge a guy with one major drive, and only 17 career pass attempts. But he seems like a scrappy player who can throw the deep ball. Early indications (according to Joe Rexrode) that Tyler O’Connor, who has the size, speed, and skill closer to that of Damion Terry, is outplaying Cook. Speaking of Terry, I still argue Damion Terry is an obvious redshirt this year, despite a great scrimmage against the first team defense. But wouldn’t it be cool (next season) to see an alternate offensive formation? Imagine a 3rd down or goaline wildcat formation? How about one or two second-half series featuring a complete formation shift to a spread or read-option look? To summarize: Andrew Maxwell is on First, Connor Cook and Tyler O’Connor are battling on Second, and Damion Terry remains on Third (for now). The departure of Dion Sims leaves us some weakness in the TE position. The WRs just need to improve, hands down (no pun intended). I’ve heard that Fowler is fully healthy, and WRs Burbrige and Muphrey could be very dangerous. I’m still not sold on Lippet and Arnette, but could make some contributions this year. Should be an interesting ground game between the dynamic duo of Jeremy Langford and Riley Bullough. Again, game experience will tell who gets the majority of the carries. Despite all of the skilled player analysis, our offensive (and our W-L record) could be hinged on the ability of our offensive line to improve from last year. There are a few nicks here and there but I think if the big guys up front can stay healthy, we’ll be solid. Final prediction: 10-2 (loss @ Notre Dame and @ Nebraska). Looks like those bomb-throwing athletes from the University of Michigan will have their day in court today. Washtenaw Trial Court to be specific, Judge Archie Brown presiding. Justin Dozier and Rosario Bruno are scheduled to appear this afternoon on charges of manufacturing and possessing "molotov cocktails". Those two scholarship wrestlers were apparently carried away by the glory of Louisville ending the five-game win streak of the Michigan Men's Basketball team in early April. What better way to show your excitement than by blowing up your own neighborhood. Remember that these two weren't charged for more than a month after committing their heinous acts. Why the delay? Why the cover-up? We know the reason why. The Truth in this case hurts the University of Michigan, so the Mainstream Media go along with the news blackout. Can you imagine how much coverage a story like this would get if the athletes were attending Michigan State? We will follow this story and report to you right here on this web site, so "stay tuned" for an update as soon as we can turn over enough rocks to find the information. We ask three Spartan Resource contributors about Spartan Football as we head into the 2013 season. Contributors notes at page bottom. While we do not know the running back rotation, certainly the running game will change without Bell and Roushar. What do you expect from the Spartan running game in 2013? What do you WISH to see in terms of schemes and philosophy? I expect the MSU ground game to improve over last year, both in total yards rushing, and in yards-per-carry. Good chance that touchdowns will also be up over 2012. LeVeon Bell was a very good college running back, but with all due respect, he was another Lone Ranger coming out of the backfield, just as the great Javon Ringer was in his final season. It becomes impossible to disguise your runs when there's only one horse saddled up the whole time. The best rushing attacks in recent Spartan history have all come with two significant runners sharing the load effectively. George Guerre and Lynn Chandnois. Levi Jackson and Richie Baes. Tico Duckett and Hyland Hickson. Lorenzo White and Blake Ezor. Duane Goulborne and Sedrick Irvin. Edwin Baker and Larry Caper. Jehuu Caulcrick and Javon Ringer. All of these combo-attacks were ultimately more effective than the One Big Guy approach to running the ball. There is no One Big Guy this year, making it possible that two or three players will come out of the backfield, with no background information on them available to opposing coaches. It will be impossible to key on any running back for any reason, at least deep into the schedule until such time that one player may take over the position. I expect several guys to be getting 5-10 carries well into the conference schedule. This situation makes Michigan State essentially "invulnerable" to injury at the running back position. No chance mishap will destroy the ground game this year, as the main weapon may actually prove to be the element of surprise. This factor will manifest in play-calling and actual performances by any of several guys who will all get chances in the first three games. The coaches have the opportunity to maintain the element of surprise by creating patterns early in the season that serve as "bait" for play-calling "traps" later in the season when they will need every edge they can get, especially in the final four games. Would I rather be going into the season knowing that a certain hall-of-famer was coming back for his senior season along with a promising younger player as a backup? Probably, but the next guys to fit that bill may be coming from this new group. It's a lot easier to gain yards by running through actual holes in the line of scrimmage, and the offensive line may be able to get their job done for the no-names better than they did last year for Bell. As for my WISH for the running game, it would be the WISH-BONE, at least as a small-package that could be used in short-yardage and clock-management situations. What's neat about the Bone is that you can learn six plays that come out of the same formation, and all of them can be effective. With a formation wrinkle or two, you've got 10 or 15 plays that can be practiced easily yet still be productive in limited use. This is all the more true with a running quarterback, as you add in the quarterback-option-keeper. And nobody would be looking for it, because nobody does it. (Maybe Army.) While it would take extra time from the Spartan Offense to prepare the package, it would take practice time away from opponents during the season. The successful use of the Bone early would force opponents to defend against it later. By adding a third running-back to the offensive playing group, the element of surprise is magnified by another dimension. With a stable of nobodies to put into those positions, anybody could do anything and the defense wouldn't know what was coming. And don't think you can't pass out of the Bone. This is my annual wish for the MSU ground game, and I don't expect it to happen, but any football fan can have his dreams. I fully expect to see 2009. MSU is not going to have one or two guys that put the running game on their back but they are going to have multiple guys that step up throughout the year. Now I don't expect to see 7 different guys lead the team in rushing in various games but that team combined for nearly 1800 yards on the ground. Now I understand that 1800 yards is not a lot but compared to 2010 (the season that most associate with Mark Dantonio's "run first" offense even though 2007 was the most successful rushing team under Coach D) its not that far off. In 2010, MSU averaged 152 YPG running the ball 34 times per game. In 2009, the team averaged about 16 yards less per game but were also averaging 2 less runs per game. So I would expect to see lots of guys (at least 4) contribute in big ways but still have solid numbers. And this will be an improvement on last year. Not to take anything away from LeVeon Bell, but last years team averaged just short of 150 yards per game which is a fine total but it took nearly 38 carries per game to get there. That is 4 more rushes than 2010 (when we averaged more yards per game) and 6 carries more than 2009. So while the total was more, the efficiency was down. While Coach D likes to pound the ball, it is running the ball that sets up the passing game and the big plays. The effectiveness and the efficiency of the running game is more important than the total. Last year, we didn't have either. I believe the thunder and lightning style running has to come back. With bigger bodied guys like Bullough, Holmes, and Williams I would like to see them knock some teeth out of the other sides defense. Then let loose with guys like Langford, Tompkins and Hill (In reality, I would like to see Hill used more like what we have heard with Shelton. Get the ball to him in space and let him work because he struggles to make his own space). Coach D wants his 4 YPC and that is why the bigger guys will always have a spot. At the same time he wants big plays so unleashing those others brings that aspect (but they have to still always be moving forward). On a side note, I would like to see some read option to keep defenses on their toes. We have some speed backs that can get the corner but we also have some mobile QB's in the mix too. If you have a couple wrinkles that other teams have to prepare for, that can take away from their prep for your meat and potatoes offense. It's all about transitions - RB, QB, WR. In 2007, people saw Jeff Smoker had left and predicted doom. That year, the Spartans had the succesful tandem of experienced RBs - Javon Ringer and Jehuu Caulcrick. 2007 saw a successful QB transition. In 2006, Brian Hoyer got 1/3 of the pass attempts, 1/3 of the completions, and 1/3 of the passing yards. In 2008, people saw Caulcrick's departure and predicted doom. 2008 became the one-man Ringer show - 97% of the rushing yards and 92% of the rushing TDs. In 2009, people saw Ringer's departure and coupled with a QB transition felt certain it predicted doom. It was a bad QB transition year. Kirk Cousins had very little time on the field in 2008 and it showed. TDs across the board were down. In spite of the transition, unheralded Larry Caper and Edwin Baker became the new RB tandem and combined for more yards than Ringer alone did the previous season. In 2011, Bell stepped in and with Baker combined for the same kind of numbers that Ringer and Caulcrick posted. It wasn't a tandem. It was a dual threat. In 2012, people were anticipating greatness. 2012 became the one-man Bell show - 92% of the rushing yards, 92% of the rushing TDs. But, like 2009 it was a QB transition year and like Cousins in 2008, Andrew Maxwell. It was also a WR transition year and none of the receivers saw much playing time in 2011. As a result, TDs were down across the board, just like in 2009. Rushing TDs were about the same, but passing TDs were half of the 2009 mark. In 2013, people are again prediction doom. Bell has left. It will be a RB transition year and none of the RBs saw much playing time in 2012. So what can we expect in 2013? We will see a new tandem of running backs on the field. They may not produce either individually or combined the same kinds of numbers as Ringer or Bell, but it will be more than enough. Part of the reason it will be successful is the return of a veteran passing attack. Experience counts when you are looking for those "inches." The Spartan offense works best when the rushing attack is a two-headed beast. It is much more difficult to scheme a defense with 2 capable RBs in the backfield. What makes 2013 so exciting is that there seem to be more than just 2 RBs who could see playing time. This means better rested runners and more options the defenses have to prepare for. It means a more open playbook. Coach Dantonio will get back to the tamdem scheme of a fast, all-purpose back plus a bulldozer back. 2013 will once again see power football by the Spartan offense, but sans stars like Bell or Ringer. Coach Dantonio has also learned that while it is important to put the best players on the field it is equally important to put next year's player in to get them prepared. We will see this, too. ATownAndDown is a consistent and reliable comment submitter on M-Live. Readers frequently seek his viewpoint and the journalists there often interact directly with him on the site. After reading his comments for months, BEATchUMps.com began to post some of his content from M-Live and now links directly to his comments in the resource center at the bottom of the page. It turns out SpartanMan82 had been "following" him on M-Live for over a year prior. A-Town's first post, Recruiting is Not an Excuse for Michigan to be "Back", is number 8 on the top 10 most read list in the right column of the web version of this blog. You can also follow ATownAndDown on M-Live here. MSUSpartan76 is also an active poster on M-Live. We discovered S76 while tracking A-Town. We liked his intellect and we hit a bulls-eye on this one. His first post, The Myth of the Widening Recruiting Gap, Part 1, is already number 3 on all-time most read list and it is jam packed with recruiting statistics that clearly show that the "recruiting gap" between Ann Arbor College and MSU continues to shrink, even as our rivals pound their chests about winning recruiting championships. You can follow MSUSpartan76 on M-Live here. SpartanMan82 is the featured author on this site. His style, humor and skillful writing is truly unique and BEATchUMps.com is fortunate to benefit from his contribution. In reality, he inspired the creation of the site without lifting a finger to get it done. 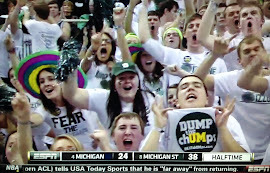 We disliked the vulgar t-shirts worn by some MSU fans/students and even got tired the use of "scUM" when on-line Spartans referred to Michigan or it's fans. 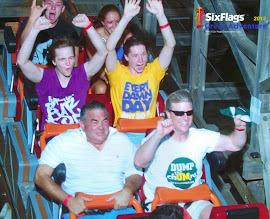 We thought there had to be a less scUMmy way to have fun with Michigan fans. 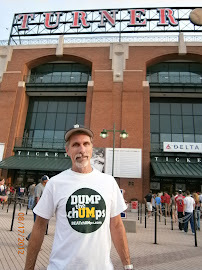 SpartanMan82 coined the phrase DUMP the chUMps. Return2glory then turned it into a website. 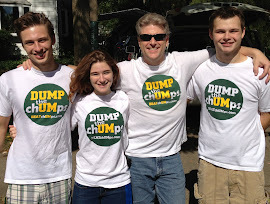 SM82 authored Why We Call Them chUMps and Not All Michigan Fans are chUMps. He holds the #2, 5, 6, 7, 9 and 10 positions in the all-time most read list and posted several multi-part in depth series. We will be creating a "Best of SpartanMan82" page as much of his best work is not on the top 10-list. You can see all of his work here. With the off-season and preseason camp behind us, the 2013 Spartan season sits squarely in our sites. As we approach the first game set for this Friday, we will begin a series sharing the perspectives of Spartan Resource contributors on a variety of MSU football topics. The football program experienced several changes in the off season, including staffing, practice designs, and additional funding. Discuss long range effects of these changes. Give an overall assessment to the off season for the Spartans program. The biggest immediate impact will be the coaching change. Bollman on the staff means we have a guy with proven track record of getting teams prepared for games. At the same time, Warner's ability to call a game and make adjustments (good or bad) is also going to have big impact on this season. The other two will have longer term impacts on the program. Getting guys live will get the younger players more acclimated to the speed of the game. But the increase to the budget will have an even bigger longterm impact. We have seen that with the hiring of Curtis Blackwell and his impact on the 2015 class already. Add in improvements to the facilities (like the diet and nutrition improvements we have already heard about). Those are steps that will only improve the program beyond what Coach D is already doing for us. IMO its tough at this point to judge the off season because we haven't seen the results. In theory I love everything. I like the two coordinators because they both compliment each other. Not to mention you bring in Bollman who will only add to the offensive line and his NFL experience is great too. My favorite move was the addition of Burton. He seems to have the same attitude of Coach Narduzzi. And the defensive line has been good over the past few years but has been a little disappointing. When you hear Worthy talking about taking plays off and ARW and Gholston fizzle last year, something had to change. Burton brings that change I think. In addition he has jumped head first into impacting recruiting too. With anything it is easy to become complacent when you have some success. You do things the same way expecting similar results and they eventually don't come. The offseason moves with coaches, personnel and going live so much have all been to take a step forward from where we were at in 2011. So if this was a midterm I would give the program an A grade but the final (the actual season) will determine if we pass or fail. To put things in perspective, the "blame" for 2012 lies squarely on Coach Dantonio and his staff. While the team had good depth at all positions, it lacked good experience at several key positions, especially skill positions on offense. The coaching staff did not prepare many of the players who started in the 2012 by giving them quality live game experience in 2011. Andrew Maxwell entered the 2012 campaign with 171 total passing yards in 2011 against the weakest opponents on the schedule (Youngstown State, Florida Atlantic, Central Michigan, and Indiana). Add to it, he was throwing to a wide receiver corps that was just as inexperienced. The group had 20 catches for 202 yards, including Dion Sims (TE). The most experienced player catching the ball in 2011 was Le'Veon Bell (RB) with 35 catches for 267 yards. Practices, scrimmages, the scout team are good, but not good enough. The lack of live game experience was the singular cause of a dysfunctional offense in 2012. They improved as the season progressed, but it did not show because the quality of the opposition also increased. Historically, Michigan State football has been very unsuccessful transitioning new quarterbacks. Of the last 20 first start quarterbacks, only 7 have had win-loss records better than the prior season and only 4 have had winning seasons their first season. Coach Dantonio and his staff have recognized this deficiency in long term thinking and they and the players have put into practice 2 significant changes. They are conducting live contact practices and scrimmages. The QBs and WRs know they will be hit. While it is not quite the same as live game, it is a big improvement over flag football. The coaches have put all candidates in competition for all positions. Even the freshmen are getting hit or are getting in their hits. While starters have always had to "earn" their starts, this is the first time freshmen have been given a level playing field to challenge the incumbents. This change has been an eye opener for most everyone. This prior off-season has seen fundamental changes in the way Coach Dantonio and his staff approach coaching. The changes are good and needed but not surprising. The MSU coaches are constantly looking for ways to improve the program and the quality of the teams they field. With these changes, they have "raised the bar" for the entire program. Going forward, Spartan teams will be better prepared, tougher, and more successful as a result. From the progress we have seen so far, these changes are going to have tremendous benefits in 2013 and beyond and Spartan fans can be confident of success in the future. The key to the success of all these changes will be the ability of Coach Dantonio and his staff to learn from their mistakes and improve in the future. Dantonio was not a "high-profile" hire for MSU, and many were surprised to see him get the job. He has done very well, and this is not an attempt to criticize his work. But any football coach will tell you they expect players to learn from their mistakes and improve their performance, and the same expectation applies to the administrators of the football program. Good to see that Dantonio now recognizes that he short-changed Maxwell as a sophomore as he was a little too fixated on Cousins in his senior year. Looks like that mistake will not be repeated. Good to see that the coaches realize they can't totally protect college football players from game-speed practice contact until the week before the first game. They seem to have gotten away with "going live" this off-season, but the luck won't last indefinitely. There will be an injury or two in the future using this approach, but it's essential for game preparation to practice hard. Good to see that an assistant coach was let go after an abysmal performance that contributed to a poor season last year. Dantonio has been very loyal to his staff, but there comes a time to make a change. Can't say for certain it was Dantonio's call to make the change, but some change is needed to make progress. Good to see that the University stepped up to equalize funding for the MSU Football Program by comparison to other top-notch programs. The new staff position combined with the continued facility upgrades should only help the program sustain success over time. Overall, it's been a good off-season based on the lack of injuries and the remarkable depth we can see at Quarterback and Running Back. If the coaching staff continues to recognize their own failures and strive to make improvements, this ship will be sailing forward for years to come. Why Maxwell 2013 is Not the Same Guy from the 2012 Roster. Will Get Coach D's Nod. Maxwell vs Cook has evolved into Andrew Maxwell vs True Freshman Damion Terry. Most observers feel that the coaches have until the Notre Dame game to get it figured out. M-Live asked who readers thought would "win" the QB competition. They did NOT ask who the readers WANTED to win. Before we get into that, let's offer some context. I have posted a variety of angles on "the Maxwell subject" since the wheels seemed to come off the bus last least year. The main theme is that the offense is an ecosystem and Maxwell was part of that inter-connected system, but far from the primary contaminant - he was just the easiest, most visible one to blame for the stench. It seems information from camp and the off-season is supporting the concept that Maxwell had little support other than Bell and the rare time Sims was healthy. 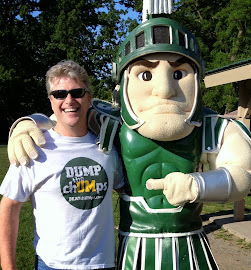 Prior to the end of last season I offered reasons for great optimism about the Spartans' future even though things looked bleak after the Spartans gift wrapped a game for the chUMps in last few seconds of a loss. A central point of that post was due to the fact that the 2012 team had very few seniors and was a junior laden team. 2013 would be experienced and mature, a point Dantonio has highlighted repeatedly this summer. As fans have started to sort through all the smoke, they are starting to see that this 2013 team just might be special. Excitement is starting to build. Several national publications rank the Spartans in the mid-teens heading into the campaign and each report is met with much scoffing from Ann Arbor College fans who lost even more from their 8-win team than we lost from our 7-win team. Immediately following the 2011 Big Ten Championship Game I entered a post that essentially planted our S flag in the ground in Indy for the 2013 Championship Game, (see "You heard it here first") because of a senior heavy team and a 5th year senior QB. I did question what would happen in 2012 (although I was way more optimistic than the actual outcome warranted). I basically called 2012 the wild card year that would determine if MSU appears in the championship game 3-years in a row or just 2 out of 3 (2011 and 2013). I still think MSU is headed in that direction. It basically comes down to November 2nd (then you start looking at the Northwestern game and Nebraska game and so on, but it all starts with DUMPing the chUMps on 11/2/13). That is the most likely tipping point game. Michigan State football QB derby: breakdown and poll, who do you think will start vs. Notre Dame? I'll trust and support MD's choice, whatever it may be. From afar, we generate opinions. I don't pretend mine are the "right" ones. I think MD wants to avoid another year of a 1st year QB with limited game experience. He counts that as a big mistake he made in 2011 (not preparing Maxwell) and because of the close games it happened again in 2012. He'll take the predictability of the 5th year senior who had every possible bad break he could get last year and appeared to remain an excellent teammate and even respected leader in the locker room. 2012: Entered season coming off spring injury and missed practice time. 2013: Healthy off season and live practices [took hits]. 2013: A full year of adversity and experienced 3 close wins and the 5 close/winnable regular season losses. 2013: O-Line an apparent strength on the team - starters and depth. 2013: Possible longer possessions due to all of the above. 2013: Comparatively easier schedule - time for the breaks to even out. 2013: 7 seniors on the 2-deep depth chart (offense) - that is a huge thing. Bottom line - Since the offense is an ecosystem where each part affects the other, I believe that the 2102 Maxwell with all 2012 circumstances is a different player than a 2013 Maxwell with all the apparent 2013 circumstances. I think MD looks at it like that and adds in what he sees each day in practice, but it gives Maxwell a HUGE leg up. I believe the door is open this year to get back to the championship game and if I had to make the decision with the limited information I (WE) have, I'd have to go with the 5th year senior with game experience. I want Roses. Now. You can follow my comments at M-Live in the resource found at the bottom each page of this blog, web version only (not available on mobile version or facebook page). What do you think about the QB race? Click on the comments link below. Frank Beckmann will reportedly be serving fried chicken to guests who attend his retirement party later this year. Beckmann announced this week that University officials had finally gotten to him and made him an offer he couldn't refuse. The word he used to describe the force-play is "retirement". The infamous announcer caused a stir this summer with an opinion piece in the Detroit News that included a virtually incoherent ramble about the virtue of fried chicken and the integrity of those who eat it. Therefore, fried chicken will be the main course at his swan song. The political play-by-play personality suggested in his editorial that fried chicken was a symbol of freedom, somehow trying to connect the struggles of oppressed peoples with the food they eat when life is such a struggle. Or something like that. With that theme in mind, Beckmann will personally serve the main course to all of his guests, as a way of showing that his personal freedom is intertwined with the destinies of all chickens everywhere. Or something like that. Guests will also be able to feast on Matzah and Stone Soup, two foods enjoyed by the oppressed over the course of human history. After his "retirement" party, Beckmann will devote his full attention to starting a new career in the fried chicken industry. Did you notice how the mainstream media heralded John Beilein during the "Team USA" season? The Michigan Coach was lauded for great sportsmanship with his approach to Adreian Payne, as Beilein vowed to help his rival become a better player going into his Senior season. In fact, it was hard to tell at first that Beilein wasn't the Head Coach of Team USA, as all of the preliminary coverage was about him as "coach" of the team. Turns out he was just an assistant coach. Then Team USA craps out with a 9th-place finish, Payne barely plays and hardly scores, and nobody says a word about why this kind of thing would happen under the great Johnny B. As usual, the media asked an MSU Coach to explain a UM situation. Tom Izzo caught some kind of question about what transpired, though I never saw an article where the media asked Beilein himself why he did so poorly on his summer job. In effect, Izzo said he didn't care and it didn't matter. He said it's good to have Payne back in Breslin to continue off-season practice. The average mass media consumer is left with the impression that Beilein is a great man and a great leader, even after his massive (and historic) failure with "Team USA" basketball. Will the media hold him accountable for his poor work going forward? Or will they just give Michigan another "mulligan" and hope nobody notices? The mainstream media is ignoring the legal processing of those Michigan Wolverine Athletes who got caught blowing things up on Louisville Cardinal Night. Even a search of the Washtenaw County Trial Court web site for information on the case came up empty. Rosario Bruno was to appear in court three weeks ago, and may have done so, but no reports are available on the Internet. We reported on the case in this article, then previewed the latest court action in this article. However, since that event was scheduled, no reports have been found regarding the case. Bruno's accomplice, Justin Dozier, confessed to the neighborhood bombing scheme in May, and is scheduled to be sentenced this month. Keep your eyes open for news about his fate, but be forewarned that the Mainstream Michigan Media Machine (M4) may continue to keep a lid on this saucepan. Both men are on scholarship with the Michigan Wrestling team, and each has competed dozens of times. They face felony charges and at least one of them is expected to be ordered into a Diversion Program. They were suspended from the team after the charges were made public. If two MSU wrestlers threw Molotov Cocktails in Cedar Village, got arrested and charged with a felony, would we all not be hearing about it throughout the media? Would a story like that be kept as silent as this one? We will continue to pursue updates about these Michigan Miscreants.